Have you read the books? Can't wait to see the film. They're fabulous! Makes you think twice about walking past a Big Issue Seller. Fabulous, heartwarming, AMAZING true story. I've just discovered Nell Leyshon... Have you? 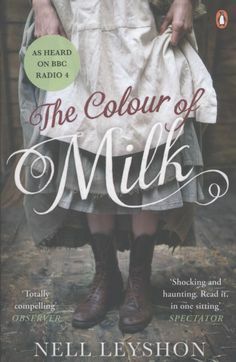 It is set in 1831 by fifteen-year-old Mary, who had been toiling on her father's farm with her three sisters. She is sent to care for the local vicar's invalid wife. As events unfold, it slowly becomes apparent why it is so important that she keep a record of what has happened. 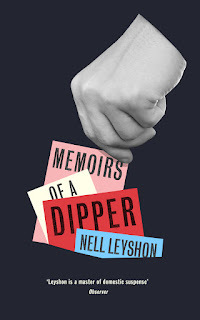 Now I'm reading Memoirs of a Dipper. If you can't cope with harrowing, distressing realism, then these books are not for you. I must confess I have found this second read harder going. I had been feeling quite down lately and came to the conclusion that this novel has been affecting my mood dramatically. The stories are brilliantly told and I am a huge fan of Nell Leyshon as she writes so well with such a compelling individual voice, so I think this book will either have to be put aside, until I feel robust enough to finish it, or read during the day only, rather than evenings. A bookshop friend said to me: "I don't do harrowing..."
10th Oct 2016. I finished 'Memoirs of a Dipper'. It is an excellent book, well crafted and written. Despite the sad chapter with Ginger, I would highly recommend it.